Nel 1990 Keith Tippett e Andy Sheppard pubblicarono 66 Shades of Lipstick, album di studio dedicato ai Blue Notes e prodotto da Robert Fripp. 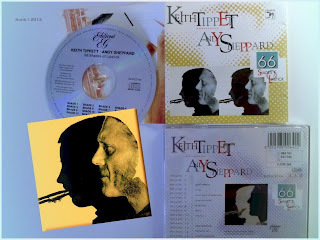 Delle sessioni di registrazione, effettuate dal 9 all'11 aprile, riferì Tippett: "Andy and I imposed one rule upon ourselves before entering the studio. That rule being that no musical preparation was to be made individually or collectively. The music had to be carved like sculpture from the air. After three days the sculpture was completed".